In spite of recent developments, banks, asset managers and trading venues are accelerating their post-Brexit plans as the UK’s exit from the EU reaches its final countdown. But as work is still largely speculative and competition concerns are rife, it’s difficult to know how your plans and progress compare to your competitors. 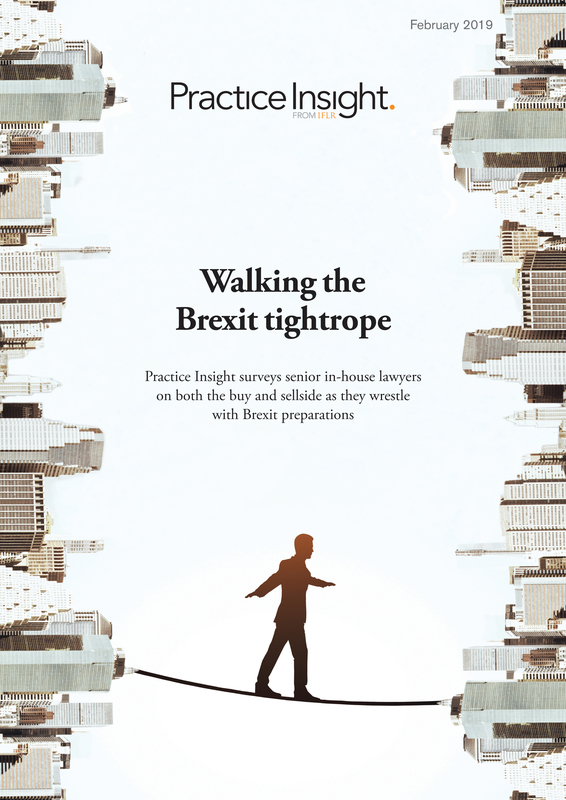 Practice Insight is polling market participants on their Brexit plans, from relocation to repapering and everything between. Don’t miss the chance to have your say at such a critical juncture for European financial services; click here to fill out the five minute survey. Your responses are entirely anonymous and will be used only in aggregate for research purposes. This landmark Brexit survey reveals how capital market participants are responding to the UK's exit from the EU, as both buy and sellside firms discuss their struggle with internal politics, novations and relocation preparations. Thank you for printing this article from Practice Insight. Practice Insight, a new service from IFLR, tracks regulatory-driven uncertainty in banks, asset managers and trading venues in news analysis and anonymous market-wide surveys. If you have been given this article by a subscriber, you can contact us through www.iflrinsight.com/sign-in, or call our London office on +44 (0)20 7779 8870 to discuss our subscription options.